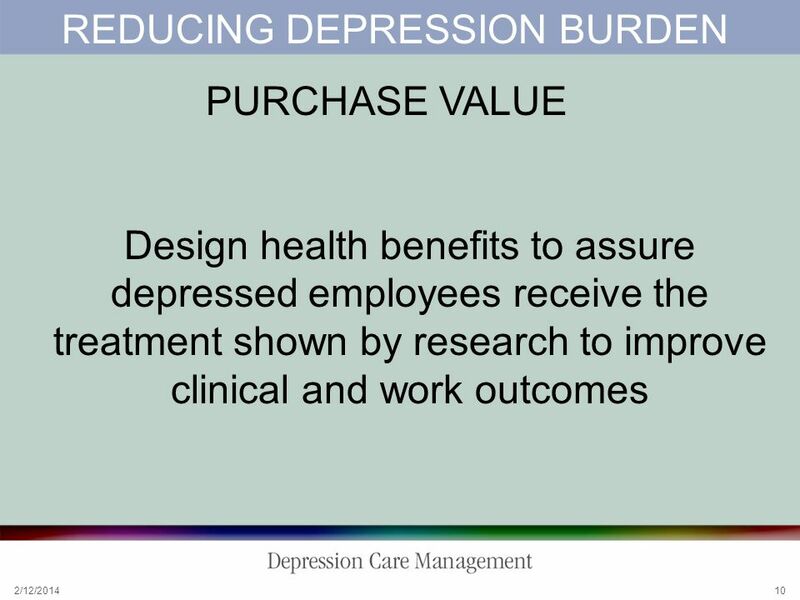 2/12/2014 1 Making Life Better: Purchasing Depression Care to Improve Clinical and Work Outcomes Donna Marshall, MBA Kathryn Rost, PhD. 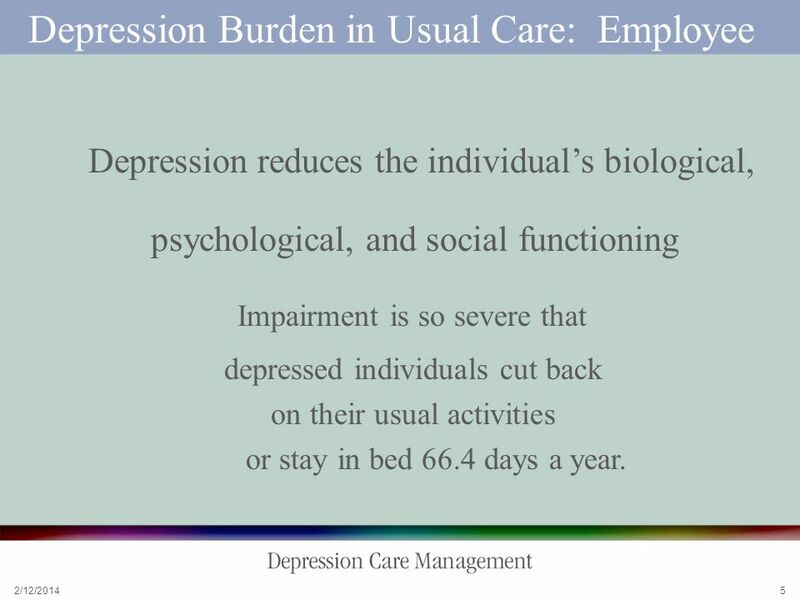 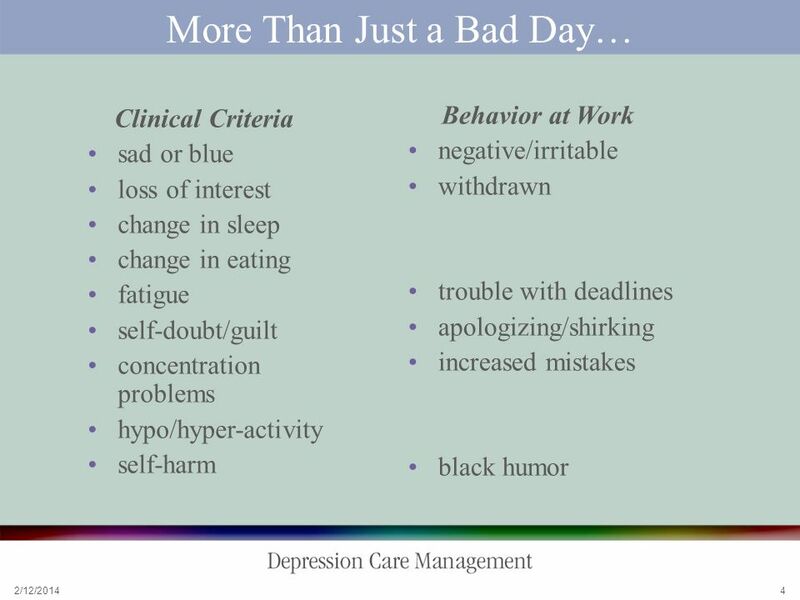 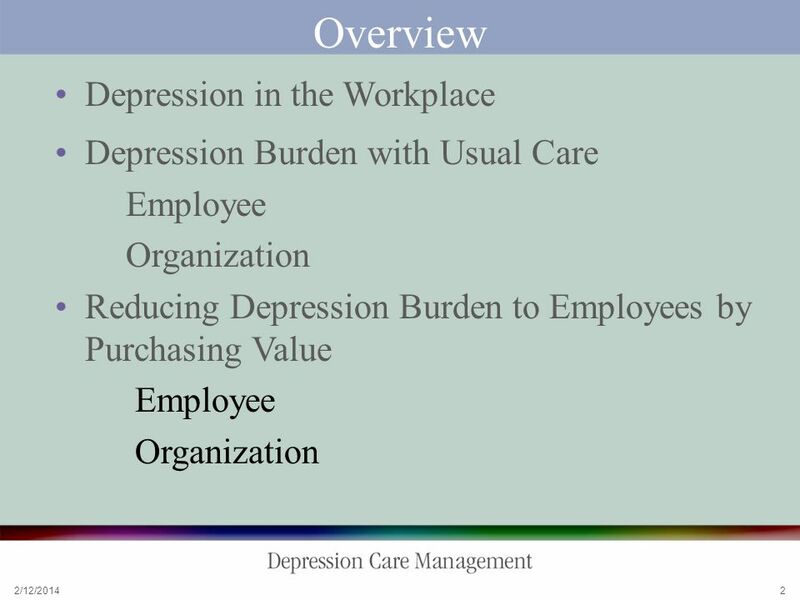 5 2/12/2014 5 Depression Burden in Usual Care: Employee Depression reduces the individuals biological, psychological, and social functioning Impairment is so severe that depressed individuals cut back on their usual activities or stay in bed 66.4 days a year. 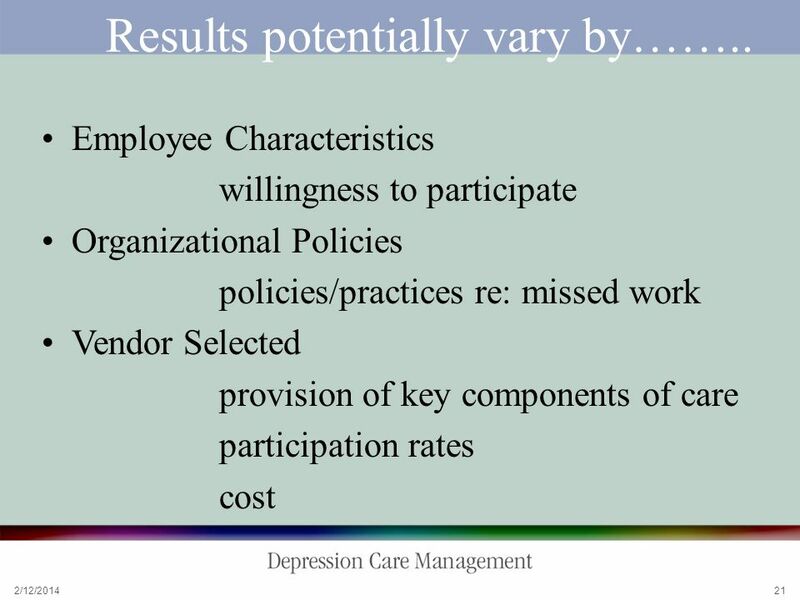 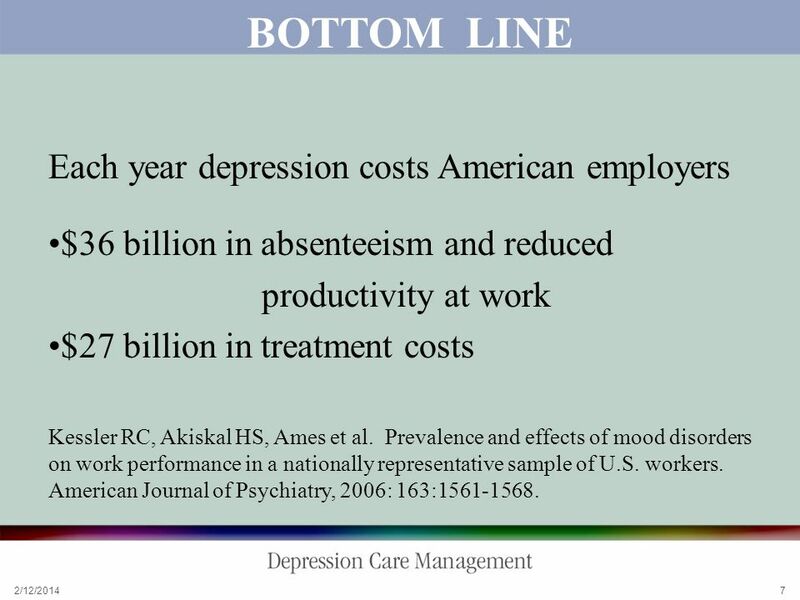 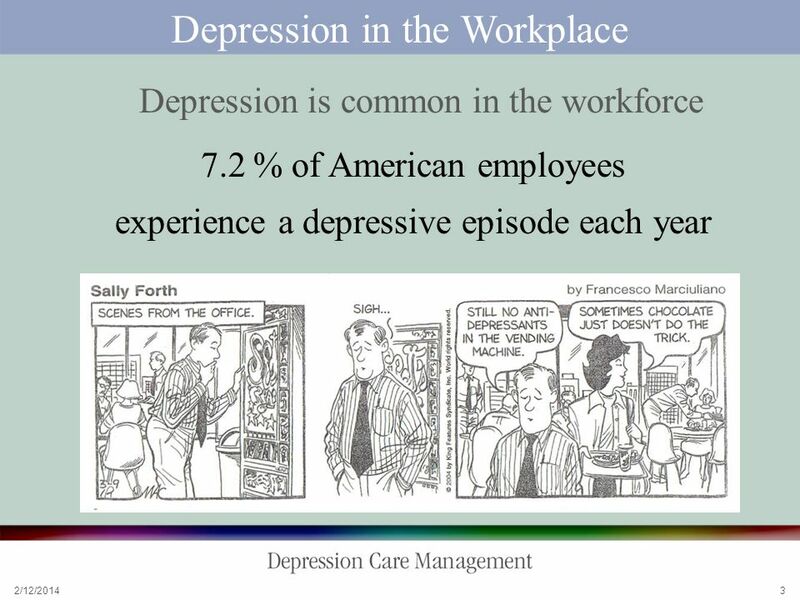 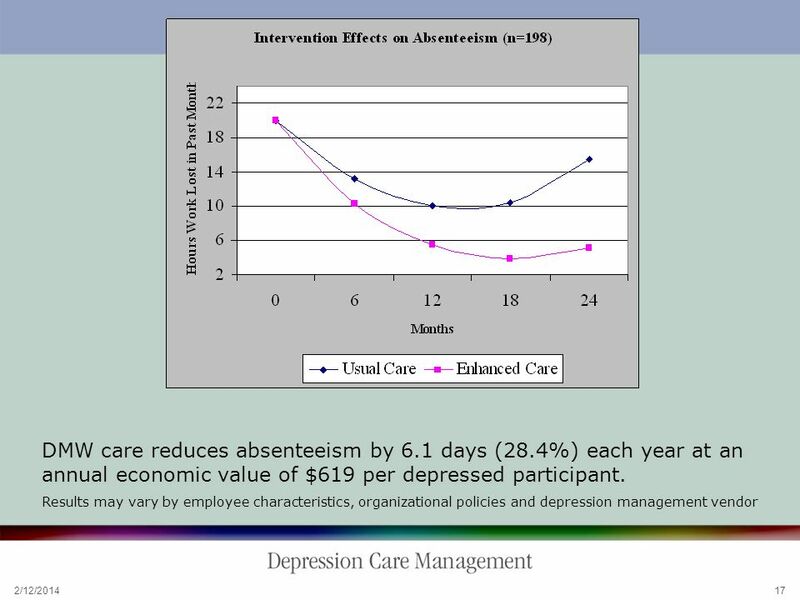 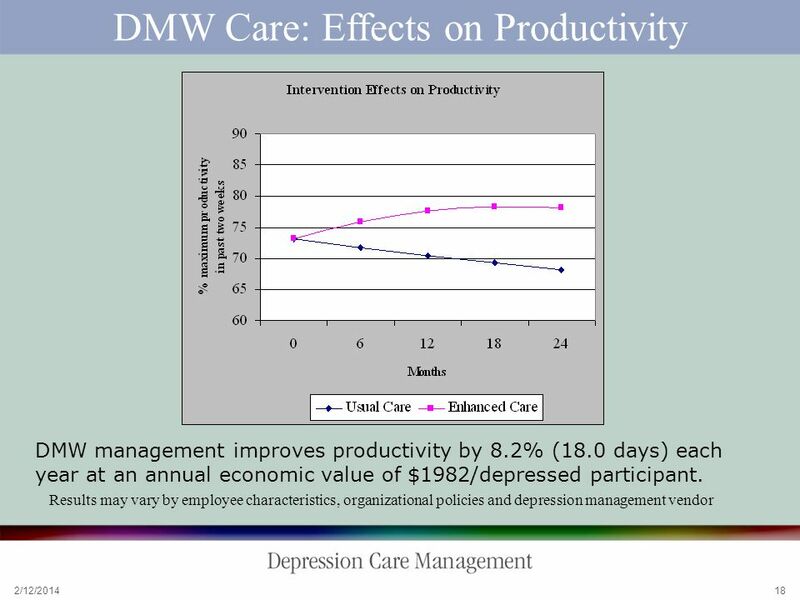 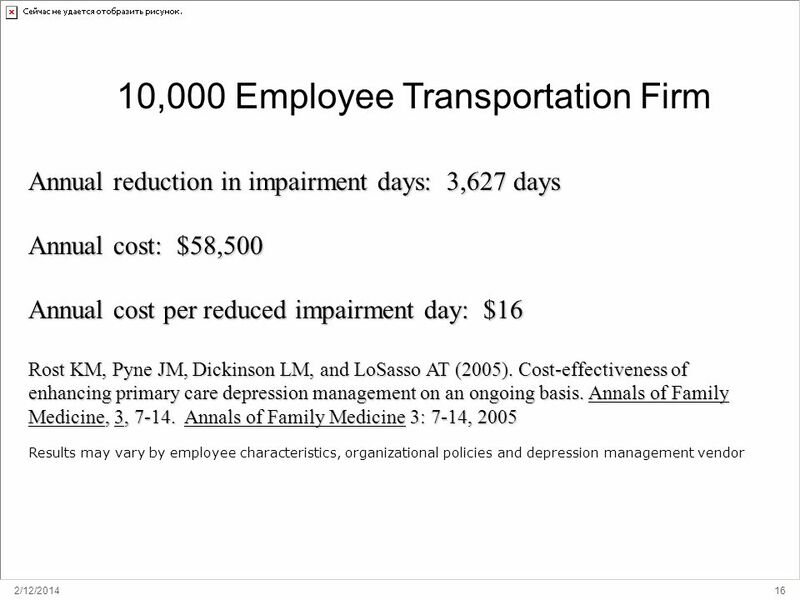 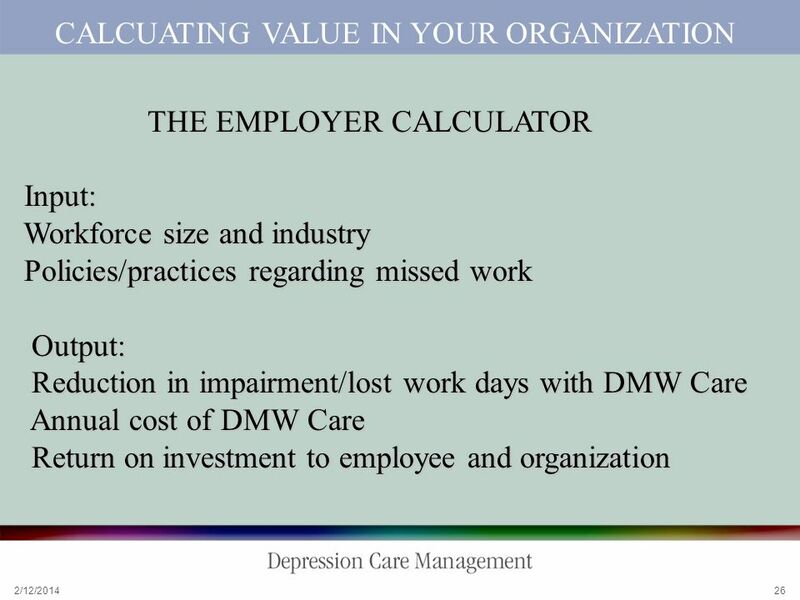 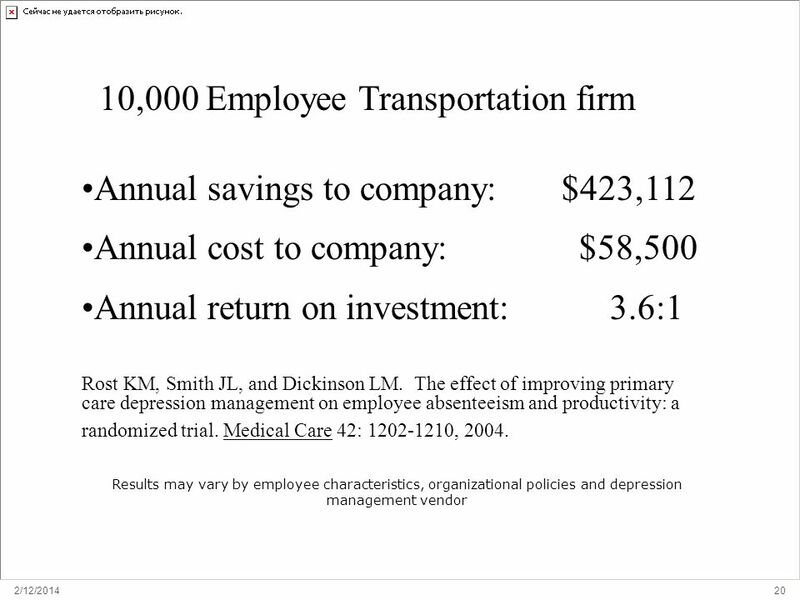 7 2/12/2014 7 BOTTOM LINE Each year depression costs American employers $36 billion in absenteeism and reduced productivity at work $27 billion in treatment costs Kessler RC, Akiskal HS, Ames et al. 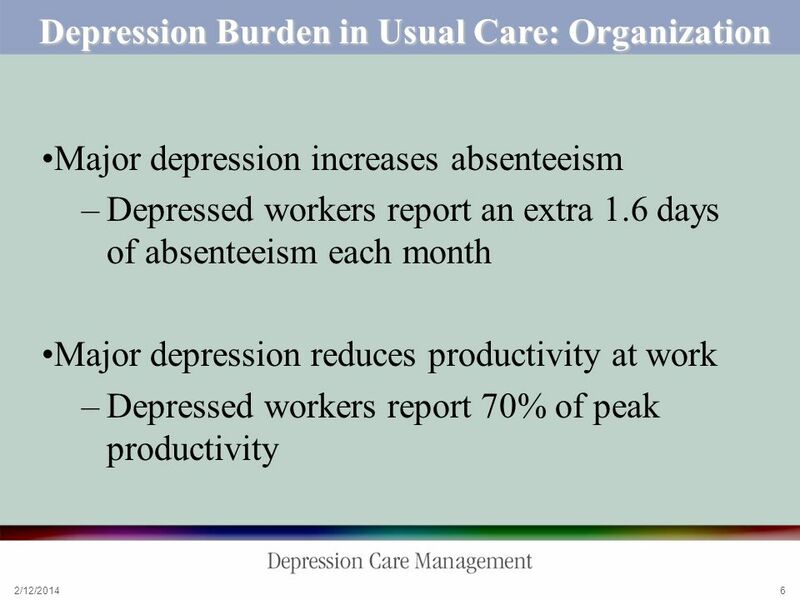 Prevalence and effects of mood disorders on work performance in a nationally representative sample of U.S. workers. 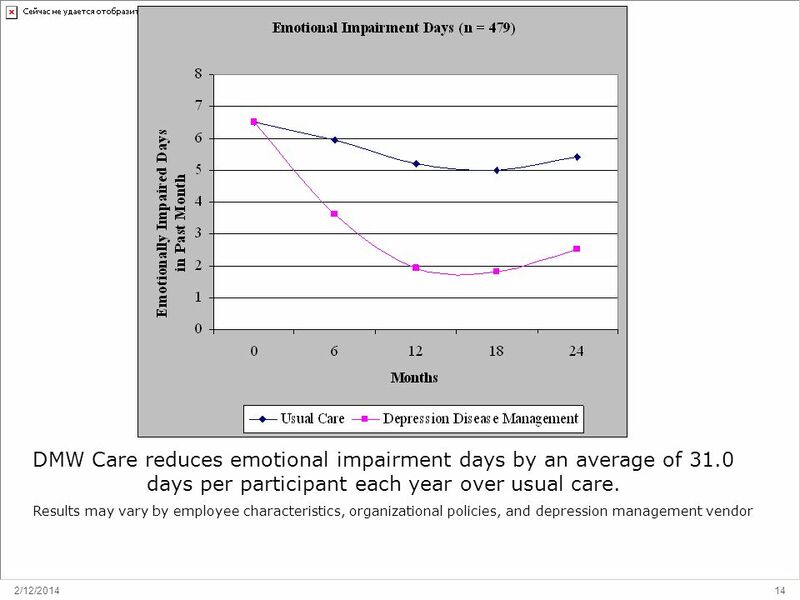 American Journal of Psychiatry, 2006: 163:1561-1568. 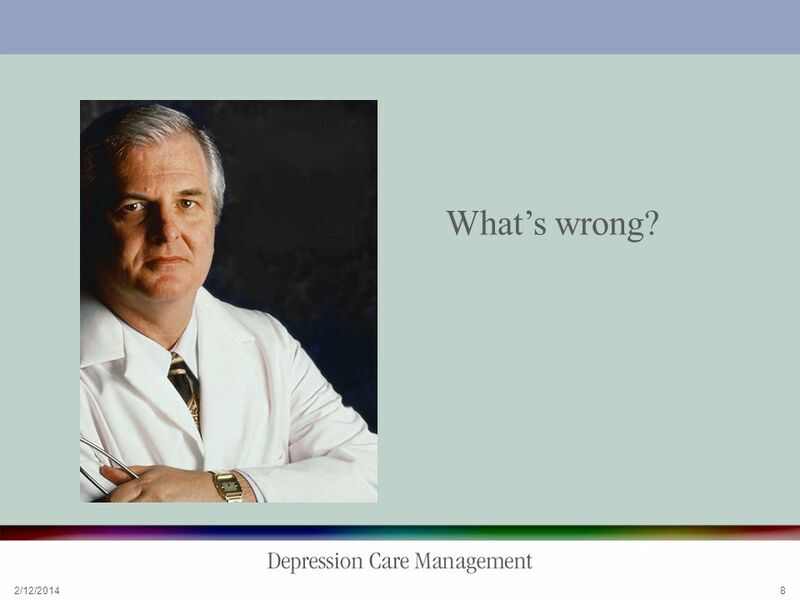 8 2/12/2014 8 Whats wrong? 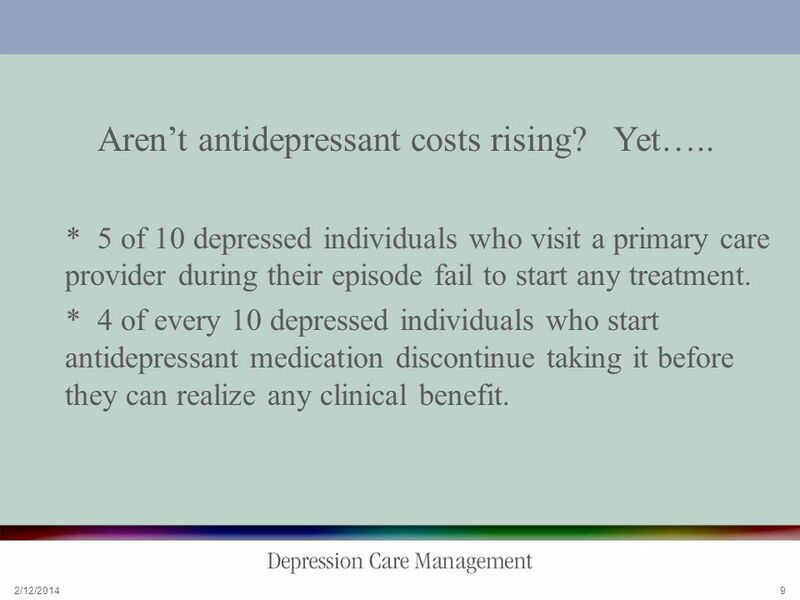 9 2/12/2014 9 Arent antidepressant costs rising? 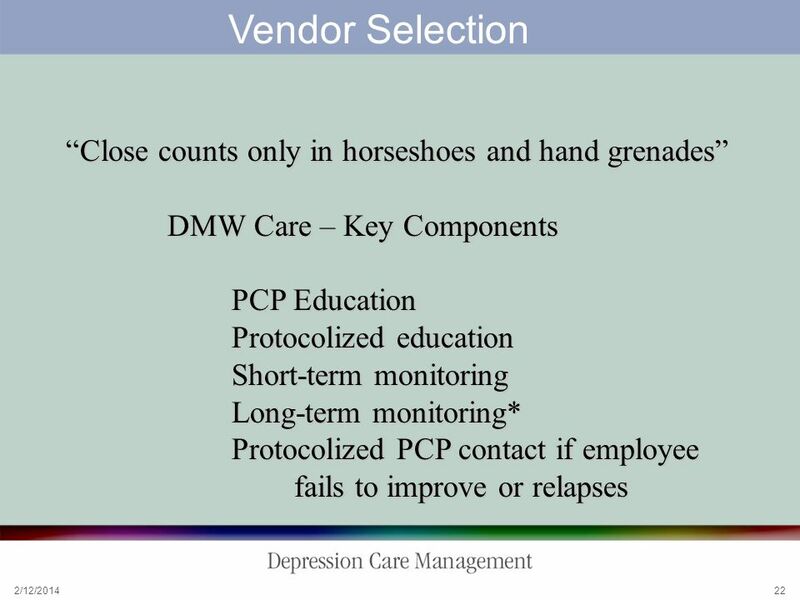 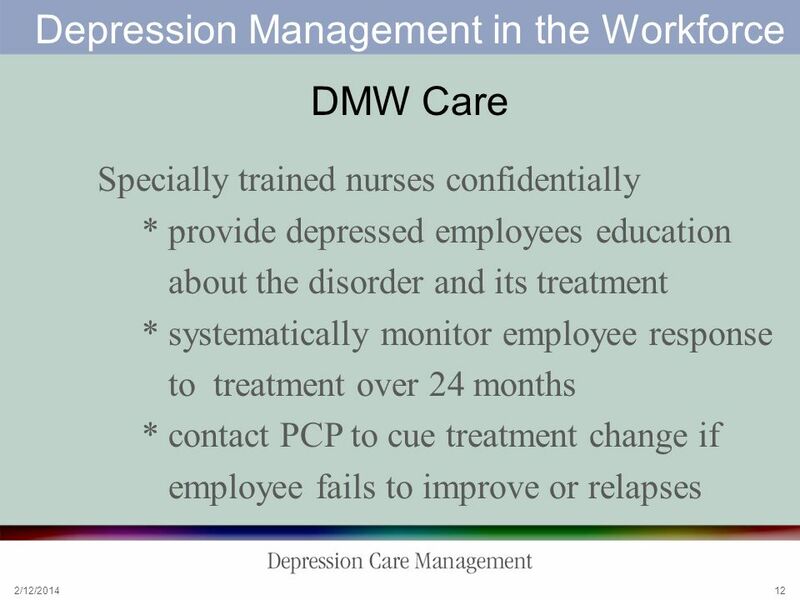 Yet….. * 5 of 10 depressed individuals who visit a primary care provider during their episode fail to start any treatment. 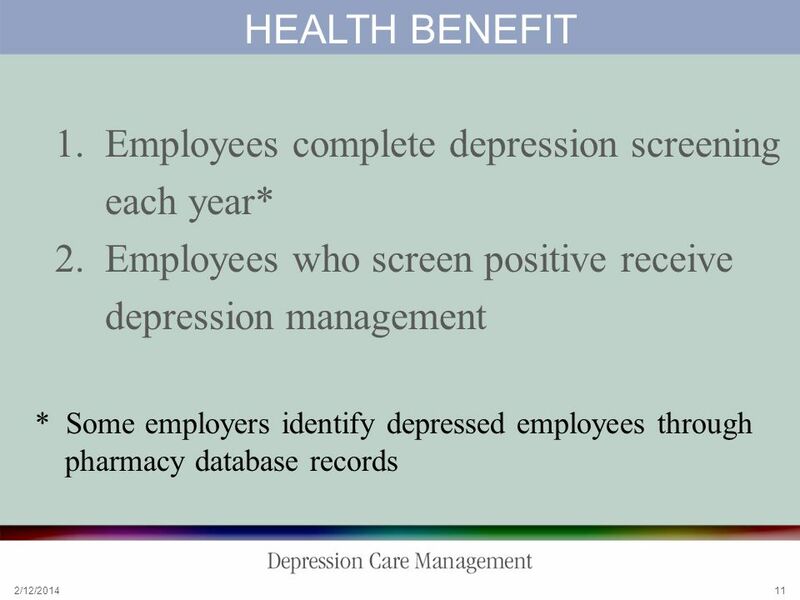 * 4 of every 10 depressed individuals who start antidepressant medication discontinue taking it before they can realize any clinical benefit. 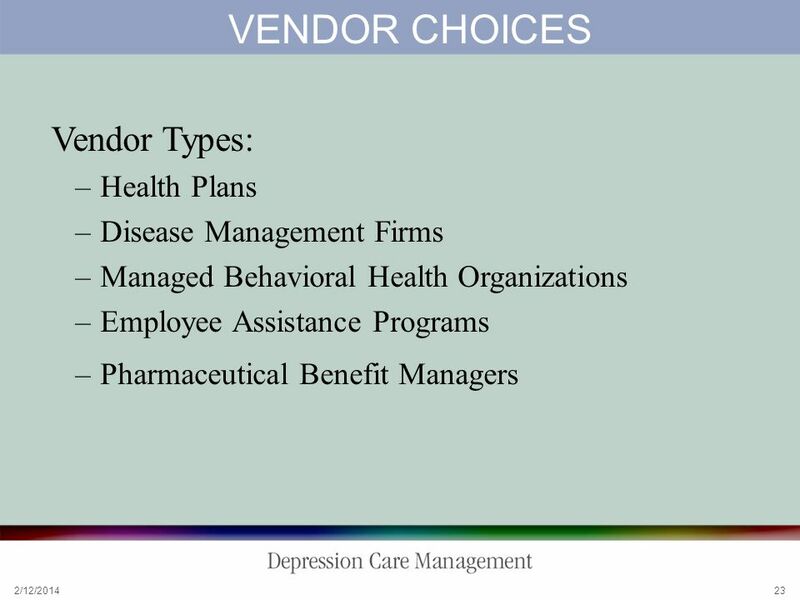 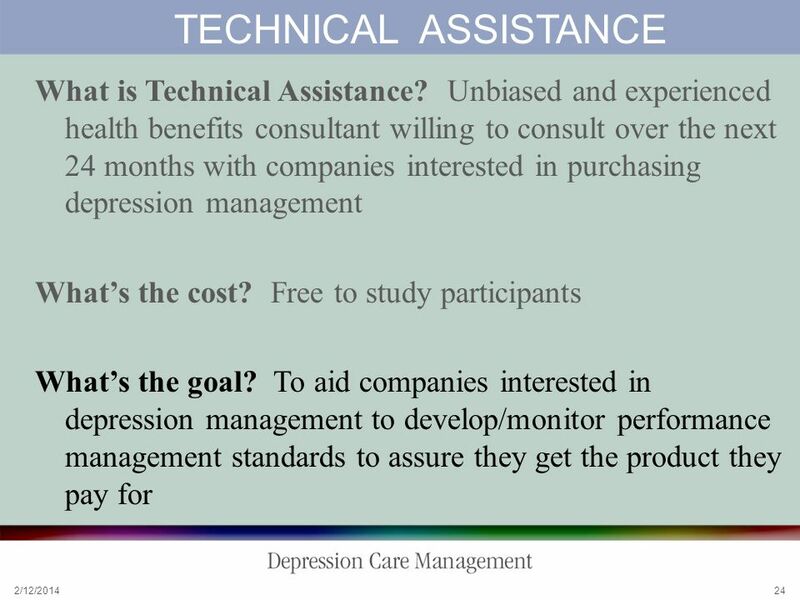 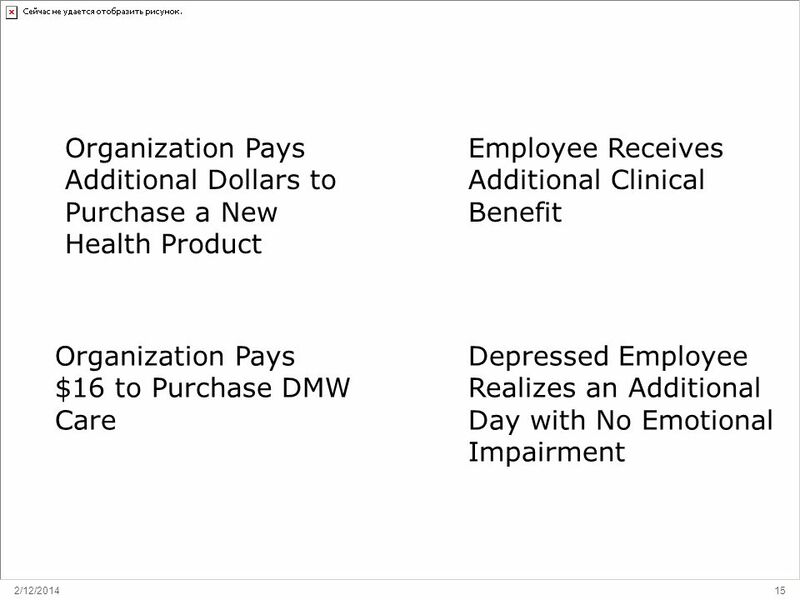 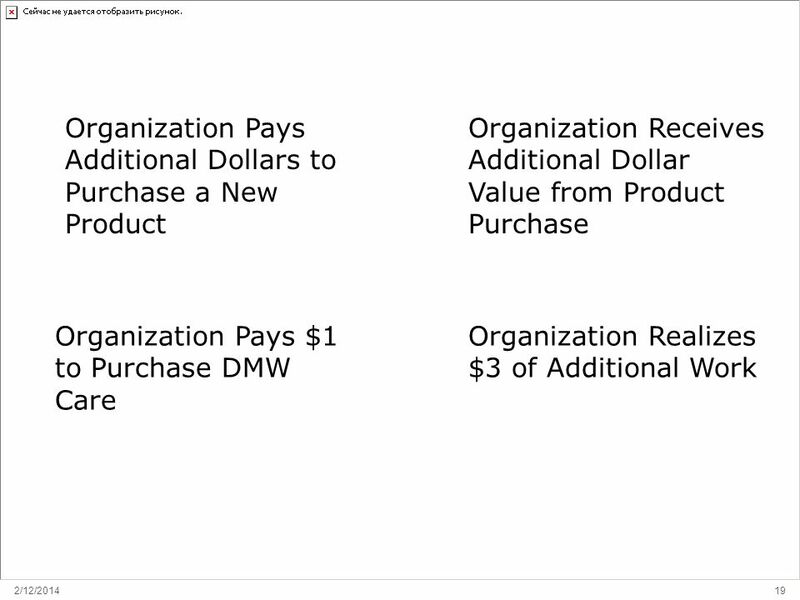 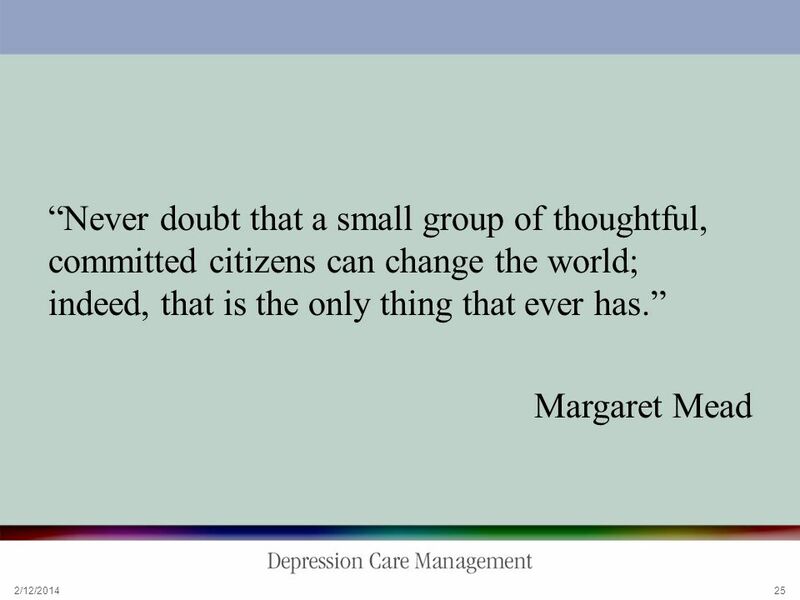 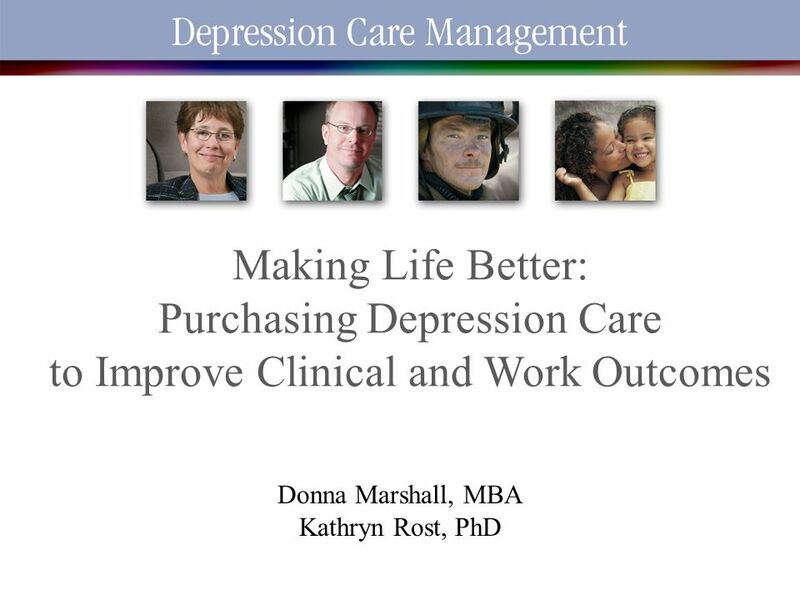 Download ppt "2/12/2014 1 Making Life Better: Purchasing Depression Care to Improve Clinical and Work Outcomes Donna Marshall, MBA Kathryn Rost, PhD." 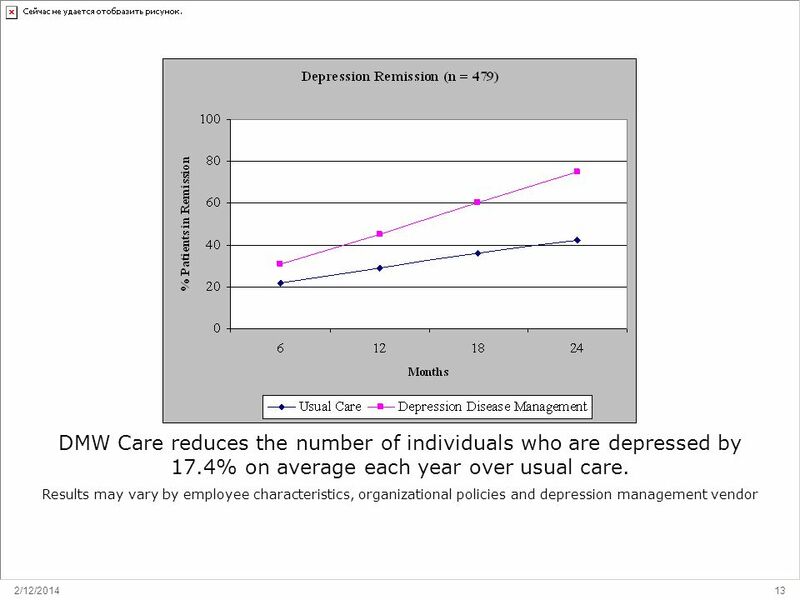 Improving Depression Treatment in Primary Care: Dissemination and Implementation Edmund Chaney, PhD Department of Veterans Affairs, Seattle AcademyHealth.